Why is my website not appearing on the first page of online search results? Having a website that is optimised for search is essential when looking to increase your online ranking on Google. Optimising your website for search will make it so much easier for users to find your site, driving web traffic and your online conversion. Creating a better and more effective user experience on your website has recently become one of the most important ways of ranking higher on a Google search results page. A responsive website with engaging content and user experience will no doubt rank higher in your customer’s search results. Here are a few of the most up to date ways of optimising your website for search. User Experience Design is helping customers interact, understand and navigate around a website they are potentially unfamiliar with and have never used before. The main goal of user experience is to make your customers journey from the landing page, to making a final purchase or conversion the most streamlined journey possible. User experience and navigation both play a key role in helping your website rank higher on a users search results. Your navigation bar and page titles will help boost your ranking on a search results page. A navigation bar that is visible on all pages of your website, which is clear and has a well structured hierarchy will help the search engine understand your website’s content and structure, creating subheadings for pages on your site. Users are able to click on the different pages of your site from the results, taking them straight to the web page they are looking for and improving their user experience and your websites overall ranking in search. Including keywords in your page titles will also improve your website’s ranking. For example, when writing the title for your most recent blog post, the keywords that potential customers or web traffic will be searching for should be considered to increase the chance of your blog post appearing in their online search results. Including both internal and external links or backlinks throughout your website will also improve your website’s ranking and SEO. Internal links are used to help customers navigate around content on your website or to make suggestions of other content they could potentially be interested in. For example, e-commerce websites commonly have a ‘what customers also bought’ section at the bottom of the web page that includes suggestions of similar or related products that other users have viewed or purchased. This will improve the users experience on your site by grabbing their attention, drawing them into your site and making the overall journey to finding the right product so much easier for your customers. Internal links will help the search engine understand your website’s structure and hierarchy. They will also highlight relationships between content on your website and will allow the search engine to understand what pages on your site cover similar or related subjects and content. Internal links should be used to link to recent or related posts or pages on your site, helping the search engine understand the relevance of content on your site and improving your websites ranking on the search engine results page. Optimising your site to include backlinks or referrals will also improve your SEO. Including links throughout your site to direct users to other websites, or similarly other sites linking to your website will increase the value and worth of your site. This will make your website trusted by search engines and indicates that your content is of a high standard and relevance, and therefore improving your overall ranking on a search engine results page. A web design that is responsive to different screen widths and resolutions is a must for improving your websites SEO. A large percentage of your web traffic will be making searches on a mobile or tablet device and your website should be optimised to appear on their search results, accommodating all users. Searching the web on your mobile is one of the most common ways to make an online search and implementing a responsive web design will ensure your mobile users bounce rate is kept to a minimum by creating a user experience that is suitable for their device. A web pages loading time is also taken into account when ranking in Google. Your website’s content should be optimised for all devices to improve loading times and your SEO and also improving your overall user experience on your site. The quality of your website’s content also has a lot to answer for when it comes to how well your site is ranking by increasing the value of your site and web pages. This includes the amount or volume of content and length of your web pages. For example, a one thousand word blog post will more than likely rank higher than a five hundred word blog post. 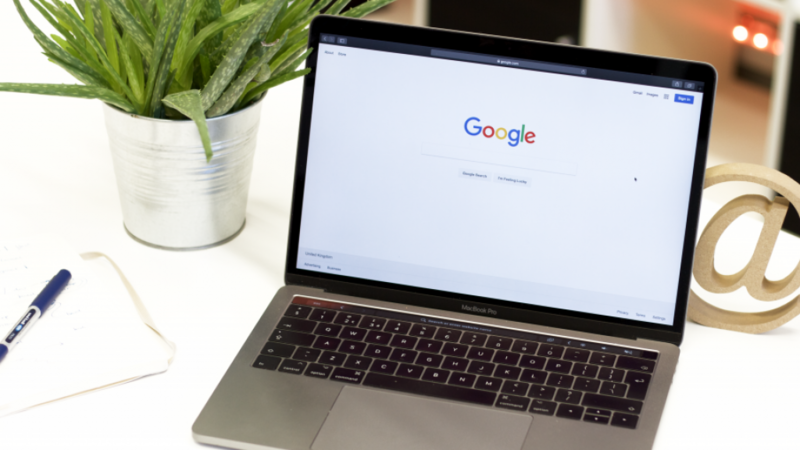 Optimising your content, titles and subtitles with keywords that users are most likely to search will make your website and web pages much easier for the search engine to find. Using subheadings to split up your content will increase the readability of your site, helping search engines understand your content and when it matches a keyword made in a search, improving your ranking. Writing in a natural, conversational tone on your website and focusing on long tail keywords will target users who are making very specific searches and know what they are looking for, resulting in higher conversion rates on your site. Long tail keywords will also optimise your website for voice search as they match the way we naturally speak and ask questions. As long tail keywords are more specific, there will be less competition when a search is made and will improve your sites ranking on the results page. What people are searching the web for and how they are doing it is constantly changing and developing. Carrying out regular research and analysis to keep up to date with the keywords your customers are searching for is a must when optimising your website for search. Using a tool like Google Analytics will allow you to record and analyse data about your web traffic including conversion rates, bounce rates and also what keywords are being searched and what ones are creating the most conversions on your site. It also records what device users are accessing your site from which, as we already know, is important for ranking on a search engine results page. Analysing and recording data about changes and trends in your web traffic will allow you to re-optimise your websites current content to rank higher in search. This also allows you to be prepared when creating new content as you are aware of what keywords are the most popular among your customers and which ones bring the highest conversion rates to your site.